Lea Michele is engaged to boyfriend Zandy Reich, president of clothing brand AYR. 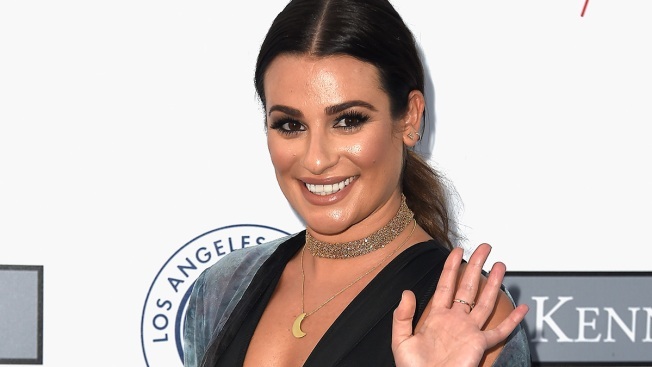 On Saturday, the former "Glee" star hopped on her social media on Saturday to post a photo of herself with her major bling, along with the caption, "Yes" and an engagement ring emoji. A source tells E! News that Zandy proposed to his lady love with a 4-carat elongated, radiant-cut ring, which he personally designed with Leor Yerushalmi and The Jewelers of Las Vegas. The source also adds that the newly engaged duo "couldn't be happier." The lowkey couple went public with their relationship last July. Last July, an insider told E! News that they were friends first and then more. "They have been friends for a while and started dating recently," the source said at the time. Previously Michele dated Cory Monteith, who died on July 13, 2013, and "iZombie" star Robert Buckley. Fans can see Michele (and that rock) when she performs alongside Darren Criss for their much anticipated, co-headlining LM/DC tour, which takes place from May 30, 2018 to June 10, 2018.